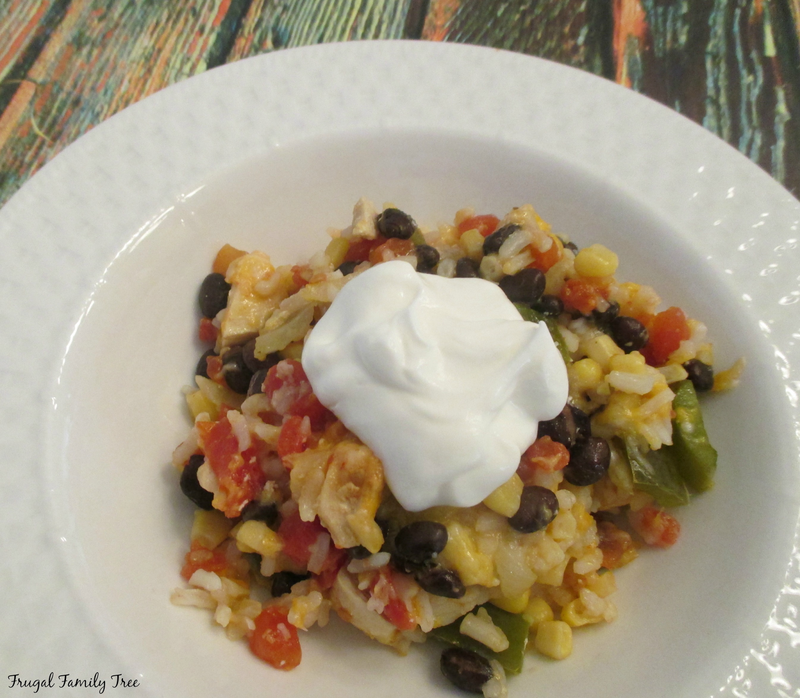 This is a recipe that my family really loves, and I love how easy it is to put together. It uses two cups of cooked, cubed chicken. I try to have cubes of cooked and frozen chicken in the freezer, and this really helps to make this a quick meal for a busy weeknight dinner. The black beans and tomatoes give it a healthy boost, and I'm finding that the kids will eat it as long as I don't add any hot sauce to the recipe, and serve it with corn muffins. The leftovers, if there is any, can be put into a warm tortilla with salsa and sour cream the next day for a yummy lunch. And it's a great make-ahead recipe too. Just pop it back into the oven awhile and it still tastes great. 2. Meanwhile, sauté onion and bell pepper in hot oil in a medium skillet over medium heat 10 minutes or until tender. 3. 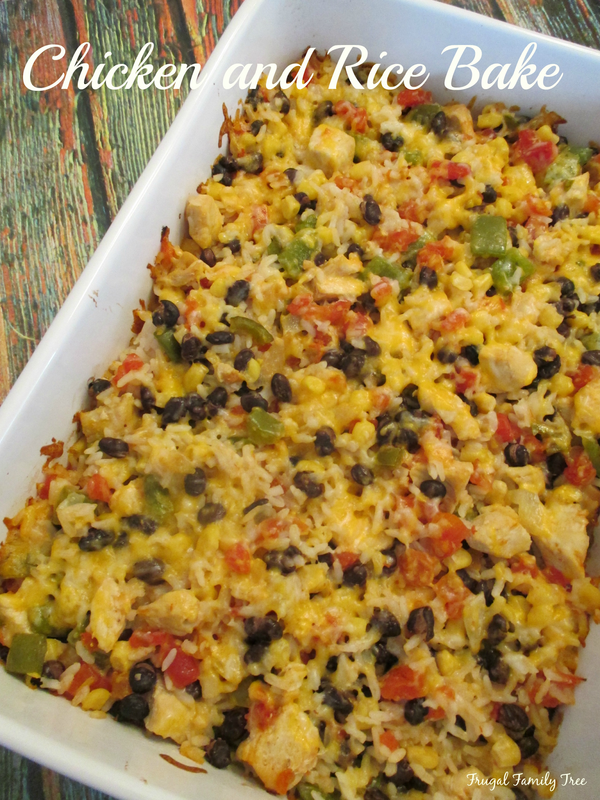 Combine hot cooked rice, onion mixture, chicken, beans, corn, diced tomatoes and chiles, and 1- 1/2 cups cheese in a large bowl. Spoon into a lightly greased 3-qt. or 13- x 9-inch baking dish and sprinkle with remaining 1/2 cup cheese. 4. Bake, covered, at 350° for 30 minutes; uncover and bake 10 minutes or until cheese is melted.